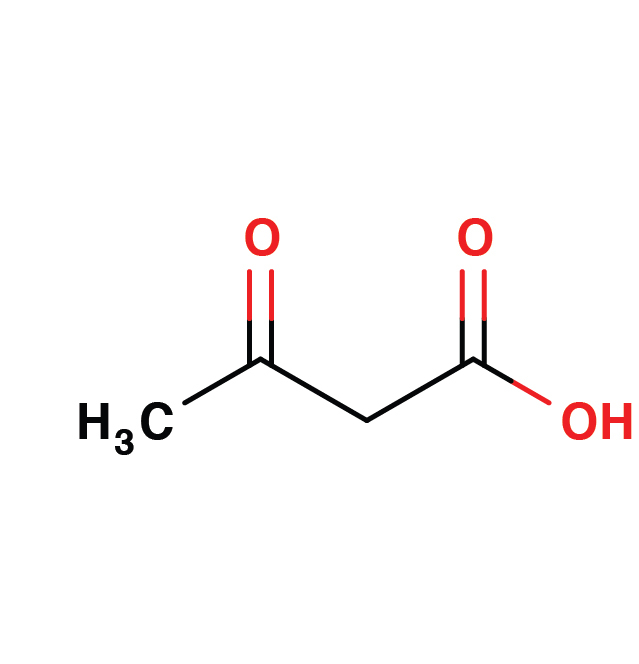 Acetoacetate (AcAc) is a ketone body primarily produced in the liver under conditions of excessive fatty acid breakdown, including diabetes mellitus leading to diabetic ketoacidosis. An indispensable energy source during times of limited glucose supply, like bHB, acetoacetate synthesis is increased under conditions of fasting, endurance exercise, and malnutrition. High levels of ketone bodies, like bHB and AcAc, are not only indicators of diabetic hyperglycemia, but also markers of disturbed glucose metabolism in the prediabetic state (2).